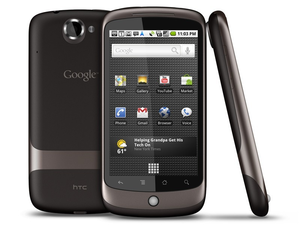 The Nexus one is the first phone by Google. The nexus runs a slightly modified version of the android operating system. Mostly it is just the standard android, however google has provided a few extra apps and some minor layout changes. What I like the most about this phone is that it is very pure android. All those overlays that HTC, Samsung and others insist upon just annoy the crap out of me. I like android the way it is. Another great plus with this phone is that it gets new updates fairly quickly. Just a week or so ago (around beginning of may 2011) I got upgraded to 2.3.4. Running android >=2.3 has a great benefit for me since as of 2.3 android contains a built-in SIP client. So when I am at home the phone connects to my PBX and I can use the same phone for cell calls and "normal" calls.